It’s that part of the year again, the final exams fast approach, the scariest scrap of paper, you know the one- with boxes and dates and page numbers and chapter names, is handed over to you. For a second you don’t want it. Your heart rate increases, your mood takes a nose dive and a sinking feeling in your gut suspends you in time. As your body recovers, in the next couple of minutes you hold it scanning for the gaps in the dates and especially focus on the date of the first exam and with more fervor, the date of the last one. It’s seems like a life time away. In the next few moments you know what you have to do. This is serious business and not a moment can be lost. You go into super-mom mode, a checklist has neatly been imprinted in your mind- you are now the ‘man with a plan’. Does this sound familiar? Yes… I thought so too. Let’s focus for just one minute and assess the situation. Let’s analyse exactly how our response is going to yield any positive results shall we? And then let’s talk about what we can do to help our already stressed and burnt out kids with their exams in a way that is productive and not stressful. After the discussion there is handout that you can download and keep for easy reference if you feel this post has helped you in anyway. This entry was posted in Mannerisms, Tidbits, Uncategorized and tagged children, creativity, education, exams, fun, kids, parents, pressure, school, stress, students, teacher, tuition on March 26, 2016 by rahimajabeen. We see kids running around the house, knocking over glasses, creating a wake of chaos wherever they go. Sometimes we just wish school hours would be longer so that we didn’t have to deal with all the ‘stuff’ that comes with having a child in the vicinity. They look so happy all the time, only just breaking up in tears if the elder sibling has pulled the younger one’s pony tail. 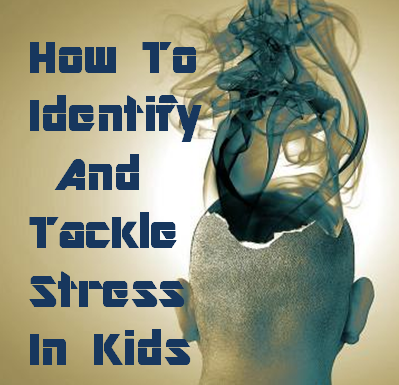 Be that as it may be, children are no different than us adults and are prone to being deeply affected by stress. Consider a little baby, it will cry when hungry or if it has a soiled nappy or if it is having pain or is uncomfortable. These are the basic stress triggers that are external in nature, and easily identifiable. This entry was posted in Tidbits and tagged anxiety, behavior, children, coping, emotions, humanity, kids, mental health, morality, parenting tips, parents, self improvement, stress, stress factors, tension on December 6, 2015 by rahimajabeen.